1545 California St., courtesy of Google Street View. 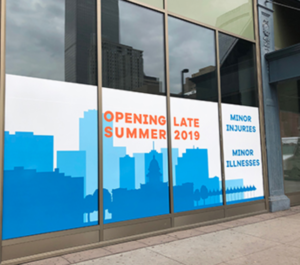 DENVER — Late this summer, Denver Health will open a new Urgent Care facility at 1545 California St., just off the 16th Street Mall, to meet an increasing demand for services in the downtown area. Construction is underway at the new Denver Health Downtown Urgent Care (Photo: Denver Health). Downtown Denver and its central business district have seen exponential growth. The residential population has tripled since 2000, with a need for health care services for its many new residents. The Downtown Denver Partnership identified that more than 130,000 employees work in downtown Denver. More than 45,000 college students enroll in nearby universities or colleges each year and the Colorado Convention Center attracts nearly 1 million visitors and business travelers to the area annually. 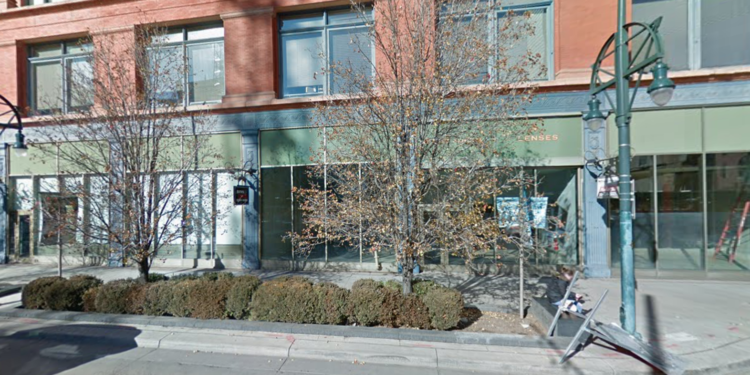 The new Urgent Care will be located within the former Denver Dry Goods Company Building, a historic department store within walking distance of the Colorado Convention Center and many of the largest downtown hotels. The 350,000-square-foot building currently includes 115,000 square feet of retail space, 28,700 square feet of office space, 66 for-sale residential units and 51 rental units. The Denver Health Downtown Urgent Care will serve those who live and work downtown as well as myriad of business and vacation travelers who come through the city each year. The facility will provide same-day, walk-in medical evaluation and care including X-rays, EKGs and some onsite laboratory testing. Denver Health’s provider team will be able to address illnesses and injuries that cannot wait for a doctor’s appointment or for travelers to reach home.